In a not too far distance, the faint sound of a freight train rolling through town calms the anxiety nibbling at my soul. Heavy, cold hard steel gyrating against itself permeates the steeliness of a long night season and transports my mind hundreds of miles away… timeless moments. The whistle blows… Reminding me, “Lord, I’m one, Lord, I’m two, Lord, I’m three, Lord, I’m four, Lord, I’m five hundred miles away from home…” Instinctively, I know home is further away… It has been much of my life. Now, ever more unsettling… Imagine not feeling at home in your own skin. Perhaps the essence of living an undefined existence, or one defined by others; this has been my lot. Managing yet to lose myself to the rhythmical sound of steel wheels clashing against steel and wood railroad tracks in the quiet of this night season. Coping. Am I? The time is two-thirty in the morning and another night, adding to weeks of nights building into a crescendo of remarkable clanging in my brain wearied from sleep deprivation. Dare anyone peacefully exist in this frenzied emotional state brought to a head by the hodgepodge of feelings compounded by physical exhaustion? Chopped shallots, night one. Slice red onions on the second try. 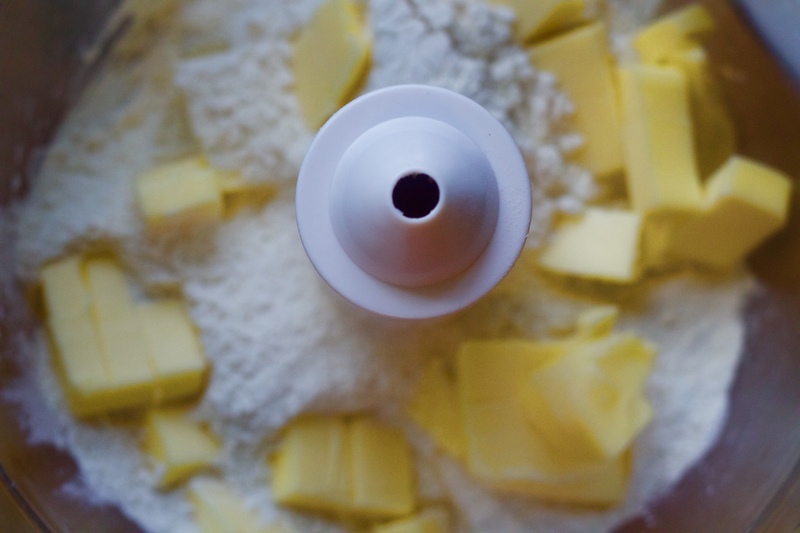 Chopped cold butter produces a flaky, buttery crust. Something a food processor or good blender can handle. 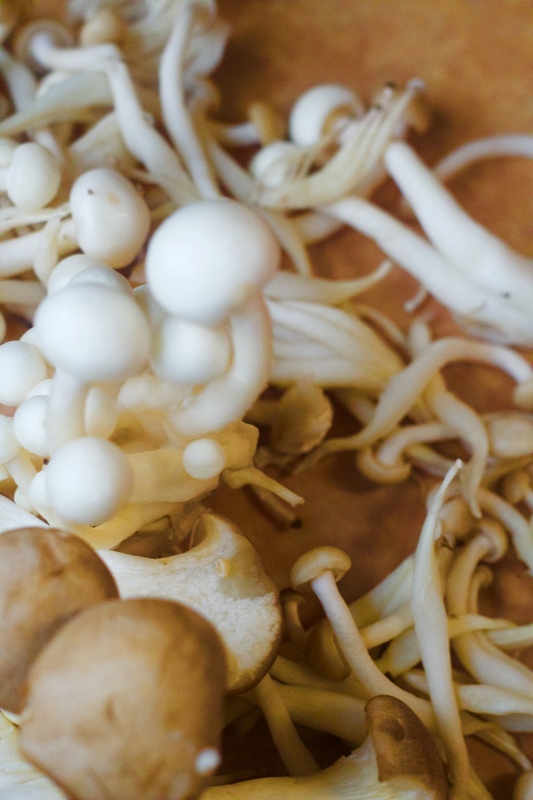 A diverse selection of wild or chef’s mushrooms… Organic where possible. Nights sliced and chopped like onions, mushrooms, and butter. Tossed, squeezed and blended searching for… no… needing a way to make something incredibly palatable in search of those rare euphoric moments. 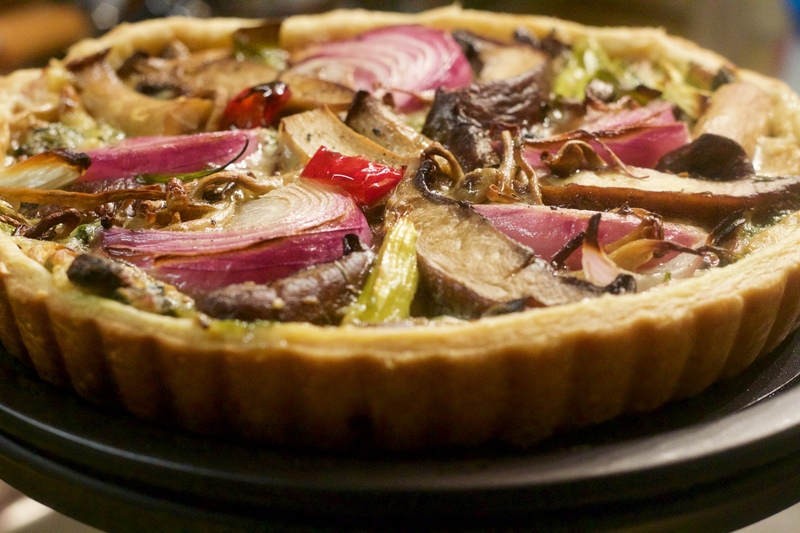 Savory Mushroom Tart… Yes, in the spring… because it is cold enough. A dab of truffle butter intensifies the taste of mushrooms without the expense of truffles. Yesterday morning, wearied of news reports depicting the barrage of endless human suffering, tragedy, and terror I turned off the television. Initially, I believed the quiet would soothe me, but in no time, my unconscious self selected a playlist and stunning notes like little soldiers, marched melodiously through the quietness. Confirmation… the calm. Effortless, melodies editing out inimical, draining spirits in that moment. I want to have a party…. The finished product… Simple, direct and savory. A stand alone meal or a lovely side. “We’re having a party, dancing to the music…” The music playing as I sipped slowly a sharp and flavorful espresso. Nice. Perched in front of my computer swaying to the music and suddenly I stand to dance. Ouch. Ouch. Forgot… Darn PCL (pulled ligament) as I realize now surgery is unavoidable. I must have the ability to do my happy dance into my appointed, necessary change. Unbearable pain dictates the time has come to change the paradigm. A need to find home… that place where I cannot hide ~ I do not want to hide… the place where I belong and can organically flourish while advocating and helping others. What is life if it is all about me? Hard lessons learned over the past decades must do more than make me a martyr for this challenging life of mother… advocate… caregiver. Climbing up hard places incessantly and now my hind’s feet poised on a path leading me to rejoin the halls of academia. Celebrating! Now, it really is a party. 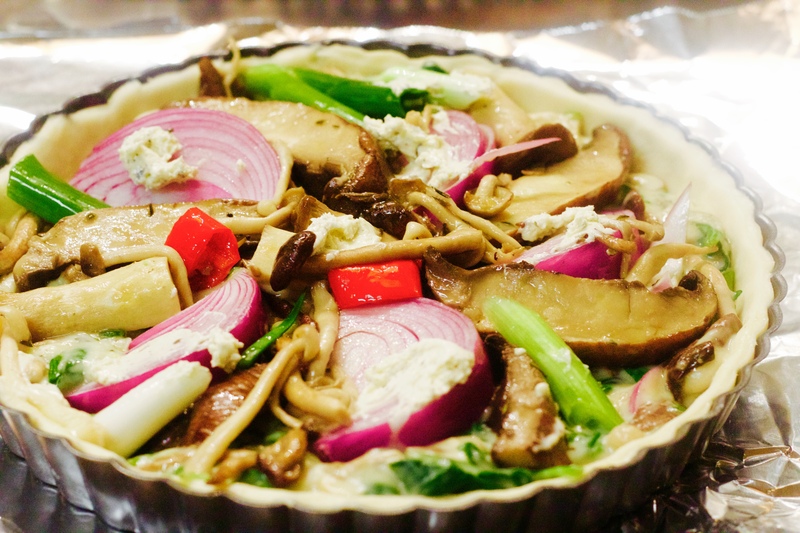 Last evening, our dinner included a delicious mushroom tart. 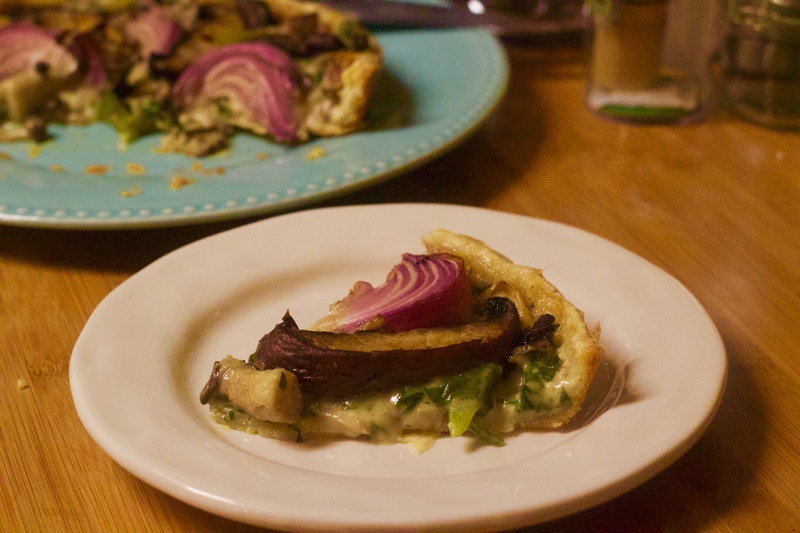 It wowed me into the next morning with an ensuing commitment to “Do it Again.” Yes, I did, back-to-back… with a little enhancement: I did not cut the mushrooms as small and used a mixture of spring onions along with a mild red onion instead of shallots. The improved taste was superb and deserving of a happy dance. Life… One slice at a time. Life mirrors what we do in the kitchen sometimes… We attempt to create a dish and once it is completed, we enjoy the dish even when something gnaws at us to believe there is much more potential. Either we decide immediately to do it all over again, or we go in another direction later … I chose the former. 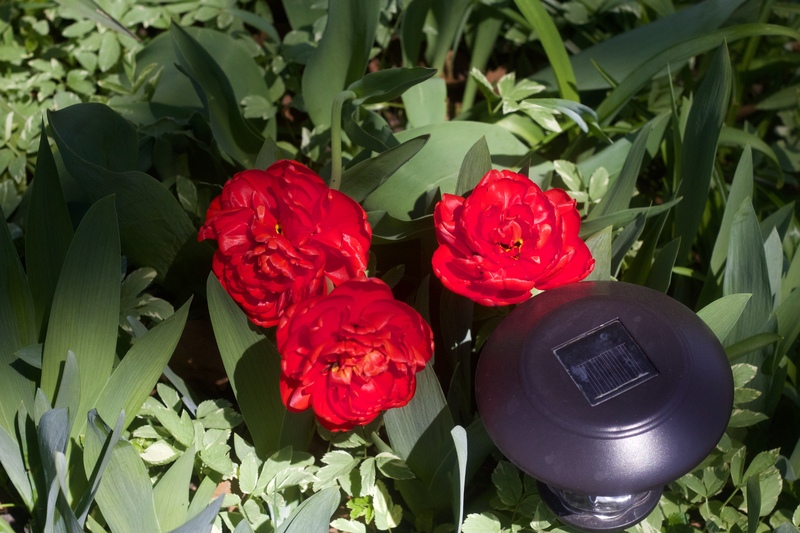 Another spring night has fallen… Pouring rain lured me into a calm nap earlier in the evening. The sound of breaking ice against the windowpane is freezing rain. The telephone ringing jarred me from my momentary rest but for a good cause. A dear friend of many years recently lost her husband and best friend of forty years to a sudden and massive heart attack. Her son relocated his mom from Scottsdale to Salt Lake City, Utah. She is a few years older than I am and I worry about her because my friend’s health is poor. We were neighbors and she resided in a home nearly four times the size of mine. She dubbed my house “The yellow cottage.” Her husband travelled internationally and often stayed away months at a time. Many mornings, she would drive over for breakfast and a short walk and stay for lunch. Some days she would sit in my living room and stare out at the magnificent trees and lawns marked with beautiful blooms and fall asleep undisturbed. In a future chapter of my life, I will have a kitchen just large enough to dine in and preferably able to sit in a cozy nook with a large bay window inviting in the sun to warm me on a cool day. Complete with an inviting peace. Meanwhile, I shall continue to feel wonderfully blessed and creative in my TINYKITCHEN where I sometimes fail at creating GREATTASTE… the first time… but because of a BIGHEART unafraid of failing… I will try again in search of home… The place of life being just right.